Ag-tech junior, CropLogic (ASX:CLI), is pursuing trial farming in Oregon, US, following its investigation into the state’s industrial hemp market. The move will demonstrate CropLogic’s ability to vertically integrate its agronomy expertise, digital ag-tech, extensive knowledge of the local growing conditions, as well as its foothold in the Pacific North West region. CLI is an award-winning, New Zealand-born company which offers farmers and growers of irrigated crops the latest in science, agronomy and technology through its CropLogic realTime software. After launching its product into Washington State in 2017, CropLogic is currently servicing a significant portion of horticultural growers in that region, with a market share as high as 30% in some crops. The company is now working towards land procurement and processing arrangements in Oregon, with the trial expected to begin in the 2019 Northern Hemisphere growing season. The first crop to be trial farmed will be industrial hemp. Through the vertical integration of its core business, CropLogic will utilise its local agronomists’ regional knowledge and experience to source 100-150 acres of land for potential lease or purchase, which will be used for the industrial hemp trial farm. The crop will be farmed using CLI’s probes and aerial imagery to grow the hemp biomass, which will then be used to produce cannabidiol (CBD). To advance this process, CLI has signed a non-binding letter of intent with Nextleaf Solutions — a Canadian-based cannabis processing tech company — for a potential offtake and collaboration arrangement. This collaboration supports CropLogic’s historical partnership model, with the company previously announcing partnerships with The New Zealand Institute of Plant and Food Research, an internationally recognised Crown Research Institute, Mildura Regional Development, and the Victorian Government. Under the proposed arrangements, CropLogic would use its vertically integrated business model, including agronomy expertise and experience servicing similar crops such as hops, aerial imagery and digital ag tech, to farm approximately 100 to 150 acres of industrial hemp. Nextleaf, meanwhile, would provide knowledge and experience to advise on suggested hemp varieties and processing. CropLogic expects to enter into binding arrangements with Nextleaf in the coming weeks. In conjunction with this, it will begin its search for land on which to conduct the trial farming. Recent CBD and cannabis market insights by the Brightfield Group estimate that the industrial hemp market in the US could reach US$22 billion by 2022. Industrial hemp contains low levels of THC (tetrahydrocannabinol) and slightly higher levels of CBD. 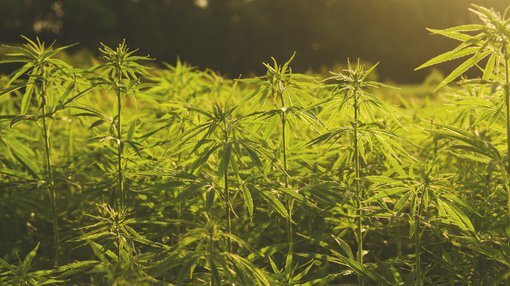 According to a report by Grand View Research, the hemp market is driven by increasing consumer demand for high-quality cosmetics, personal care products, protein supplements, and other health food products that include hemp extracts such as CBD. In December last year, the US government passed the signed the 2018 farm bill, removing hemp and any hemp derivative from the Controlled Substances Act so that it can be regulated as an agricultural crop — a pivotal step for hemp growers and hemp CBD companies. This, in turn, has sizeable implications for the burgeoning CBD industry and, more broadly, the increasingly mainstream legalised pot movement itself. CropLogic CEO, James Cooper-Jones, said of today's announcement: “This is an important milestone for CropLogic as it pursues its strategy of vertical integration, as it allows us to demonstrate the ability to produce crops using our agronomic experience, local knowledge, and our technology. “Nextleaf has experience in hemp varieties from a consumer/processing perspective and CropLogic is keen to work with Nextleaf in order to understand how best to select appropriate genetics and grade. “The emerging hemp market in North America provides CropLogic the opportunity to demonstrate how it and its technology may be able to service this market,” Cooper-Jones added.